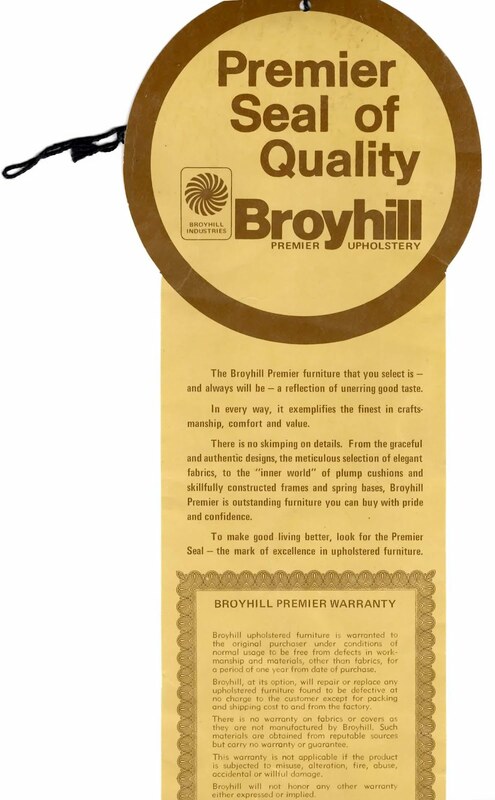 The last little piece of mid-century Broyhill Premier advertising that an ever-so-kind reader sent along was this Broyhill Industries Premier Seal of Quality. It teaches you what to look for in quality furniture and lays out the Broyhill Premier Warranty. 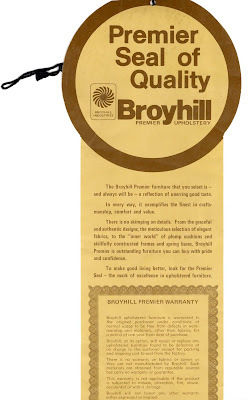 And gives you a little sales pitch to remind you that Broyhill Premier is quality furniture. 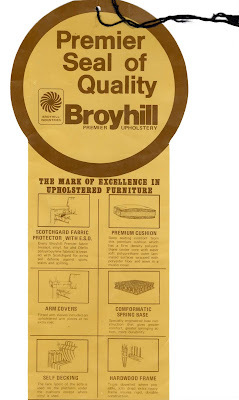 The Broyhill Premier furniture that you select is — and always will be — a reflection of unerring good taste. In every way, it exemplifies the finest in craftsmanship, comfort and value. There is no skimping on details. From the graceful and authentic designs, the meticulous selection of elegant fabrics, to the "inner world" of plump cushions and skillfully constructed frames and spring bases, Broyhill Premier is outstanding furniture you can buy with pride and confidence. To make good living better, look for the Permier Seal — the mark of excellence in upholstered furniture. I love the "to make good living better" line. 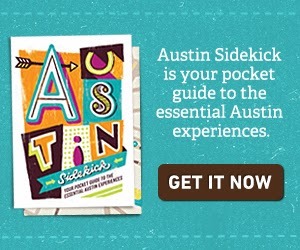 That's a lovely little bit of copywriting.